Senior SP guard Vern Fournier considers his options as Zach Reser (22) and Kamin Davis close in. 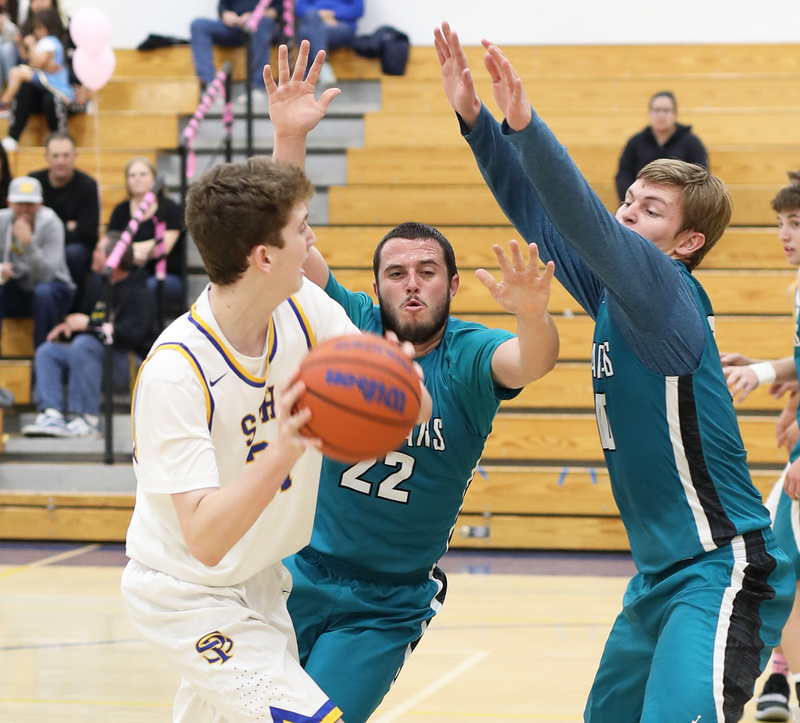 In a bang-up Valley League contest that featured five dramatic lead changes down the stretch, host San Pasqual converted two late drives to the hoop that enabled it to eke out a compelling 64-61 victory over Valley Center last Friday night. With a raucous crowd responding with resounding roars to every shift in momentum taking place during a thoroughly entertaining fourth quarter, it was the Golden Eagles who scored the final four points that spelled the difference. 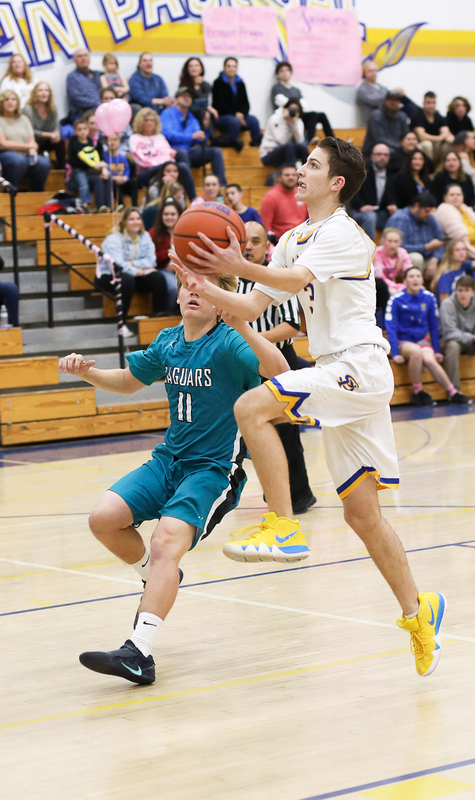 When VC’s star point guard Kamin Davis netted a sweet floater with time winding down, it put the visiting Jaguars up 61-60. But that lead was short-lived when Golden Eagle Vern Fournier maneuvered inside and scored from in close. Moments later fellow senior guard Raymund Rodriguez got loose on a breakaway and took it to the house, his layup extending SP’s lead to 64-61. That left the Jags with one final opportunity to try to square things. Operating out of a timeout with a scant more than three seconds left, it came as no surprise that VC elected to put its fate in the hands of its best and most dangerous option, the aforementioned Davis. Gathering in an inbounds pass along the near sideline, the gifted senior hustled to get beyond the 3-point arc. Though he managed to do so, a hounding SP double team had him under serious duress. Forced to elevate, fall backward and then put added arch on his contested shot attempt, his ball carried long and left, hitting off the backside of the rim. As it bounced away, the SP players began celebrating their hard-earned victory while the Jags were left to bemoan another good effort that came up just short. With a second straight win, SP upped its overall record to 9-13 and hit the .500 mark in the VL at 3-3. More importantly, the G. Eagles of coach Eric Meeks continue to demonstrate that the program is making noticeable strides. Bear in mind that only two seasons ago, SP endured the trauma of a winless season. As for the Jags, again being right there wasn’t quite good enough as their seasonal slate fell to 10-12 while their VL record now stands at 1-5. Unfortunately, although Jon Jones’s competitive crew has had opportunities to add to its win total the last couple of weeks, it just hasn’t been able to get over the hump. 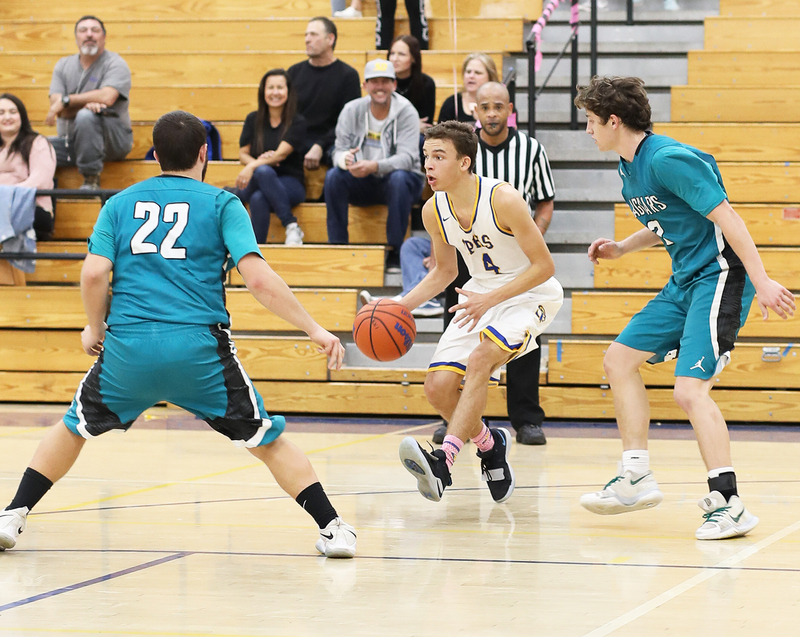 Friday’s intense contest was a rematch of a January 9 tussle in which SP traveled up the grade and sprang a mild upset by besting the Jags 64-56. Based on the manner in which VC came out from the opening tap, it was clear that the Jags were determined to try to make amends for the previous result. 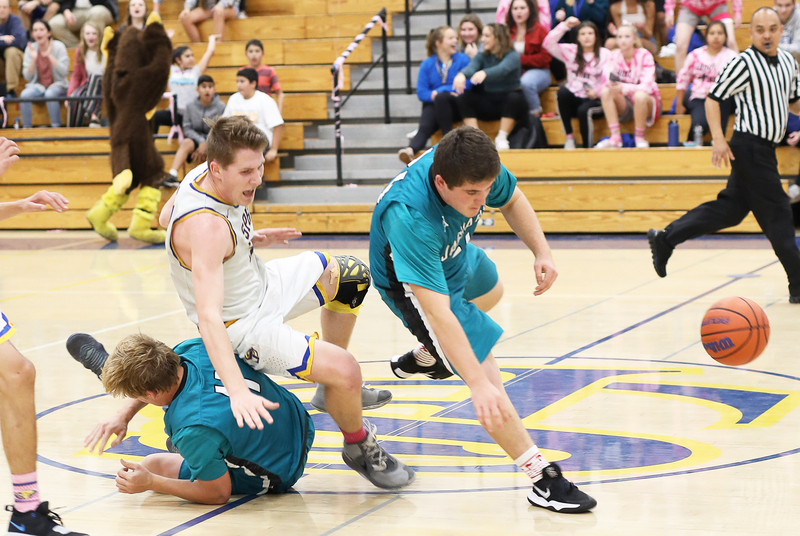 Golden Eagle Ammon Scott prepares to take a tumble as he’s sandwiched between Frank Stehly (11) and Nick Sabbara. This was a game that was destined to be close throughout—with the spread never greater than three points at the end of any quarter. The G. Eagles took a 15-13 edge at the end of the first period, thanks in large part to junior Nick Danilovic, who got off to a quick start with seven points that featured a stroked trey from the left side, a nifty flip from underneath and a banked-in chippie. Meanwhile, Nicanor Alvarado helped keep the visitors close when he drained a pair of his signature rainbow bombs from downtown. The second stanza saw SP’s advantage whittled down to a mere one at the half. 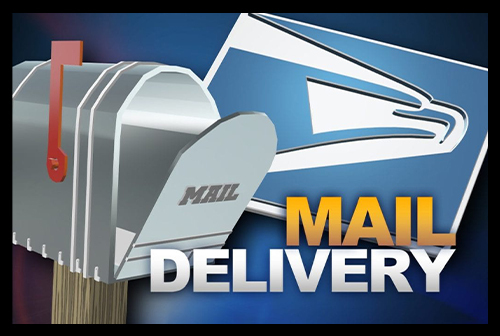 Jag postman Loren Diloreto, who played with conspicuous aggression throughout, parlayed a left-handed shot from in tight, a power move to the hoop and a brace of free throws into six points that kept the Jags right in the hunt. Nonetheless, the G. Eagles entered the intermission with a slight upper-hand thanks to the timely contributions of forward Hever Castillo. The muscular senior was clutch as he sandwiched a rhythmic pull-up 3 and another trifecta from the corner around a bucket from in tight. Though there was always a sense that this game might go down to the wire, when Danilovic got hot and drilled successive 3-pointers that gave his side a 43-35 third-quarter margin, it appeared as if the Jags were starting to lose touch. But then the gifted Davis hoisted his team onto his shoulders and thoroughly took over in an impressive one-man display. First the 6-0 senior got rolling with a high-flying layup. Next he drove the lane before converting a nice touch shot. That was followed by another creative hoop at the rim. And then he finished off his remarkable spree of nine straight points by rattling home a deep trey that had the VC followers hollering with delight. And just like that VC had moved in front 51-48 as the action headed towards a defining final eight minutes. It was here that Davis and SP sophomore forward Mason McCreary engaged in a magnificent duel down the stretch with McCreary tallying nine points while his counterpart Davis netted eight. But ultimately what spelled the difference in the outcome was the fact that while McCreary got scoring support from Fournier, Vojo Danilovic and Rodriguez totaling seven points in the final quarter, only guard Frank Stehly (2 pts.) could muster assistance for Davis. McCreary’s performance during crunch time was particularly noteworthy. Not only did he deliver buckets on a nice turnaround, putback, reverse and a layup but he also nearly brought the house down with a scintillating block that prevented the Jags from expanding a one-point margin. In addition to Castillo’s team-high 15 points, McCreary, N. Danilovic and Rodriguez loomed large for the victorious Golden Eagles, scoring 13, 13 and 10 points respectively. SP’s sophomore Mason McCreary looks to pass as Jags Zach Reser (22) and Loren Diloreto get their hands up. In a losing cause, Davis distinguished himself with a notable 24-point effort while Diloreto (14pts.) and Alvarado (11pts.) made their presence felt playing impactful supporting roles. Needless to say, Friday’s pitched battle between the G. Eagles and the Jags was a prep game worthy of attention. Realistically, it could have gone either way but despite the valiant efforts of Davis and crew, it was SP that had the right answers at the game’s pulsating finish. Nick Danilovic, who scored 13 points in the win over VC, drives past defender Frank Stehly on his way to the hoop.